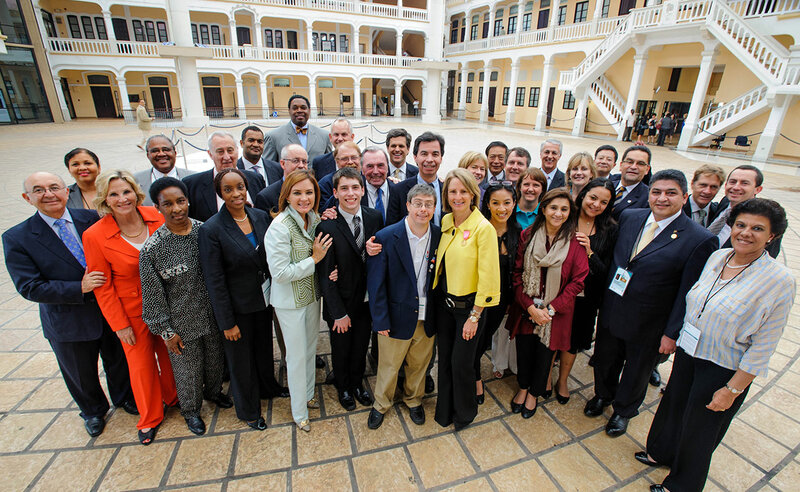 Special Olympics' volunteer Board of Directors determines international policies. The board is composed of business and sport leaders, professional athletes, educators and experts in intellectual disabilities from around the world. His Highness Sayyid Faisal Bin Turki Al Said is Director General of Investment Promotion at Ithraa - a government-run organization responsible for attracting inward investment to the Sultanate and the promotion of non-oil Omani products. Sayyid Faisal's early career was spent as Head of Planning and Development at the Omani Centre for Investment Promotion and Export Development (OCIPED). After 11 years with OCIPED, Sayyid Faisal was appointed COO, Brand Oman Management Unit (BOMU). BOMU was established in January 2009 to lead and facilitate the promotion of the Sultanate of Oman. Alongside his professional duties, Sayyid Faisal became the Patron of Outward Bound Oman in 2010. In the same year he became Chairman of the Al Amal Association which plays a lead role in Special Olympics Oman and operates under the patronage of the Sultanate’s Ministry of Social Development. His Highness has been actively involved with The Oman Special Olympics Association, an organization established to manage issues, services and programs related to those in Oman with both physical and intellectual disabilities. In 2016, His Highness became the Chairman of Oman’s Special Olympics Association. Prof. Alford considers himself blessed to have been involved with Special Olympics for the past two decades. He has been a member of the Board of Directors of Special Olympics International since 2005 and now serves on its Executive Committee. In his life apart from SOI, Prof. Alford is Henry L. Stimson Professor at Harvard Law School, where he also serves as Vice Dean for the Graduate Program and International Legal Studies, Chair of the Harvard Law School Project on Disability (HPOD), and Director of East Asian Legal Studies. His academic work is focused on: China and its effort to develop its legal system; China’s engagement with the world community; on disability issues; and on international law. HPOD works in China, Bangladesh, South Africa and many other nations to promote the rights of persons with disabilities in a culturally appropriate manner. Mr. Bower is recognized as one of the world’s leading experts on the Asia Pacific, particularly Southeast Asia. He founded and is the President & CEO of BowerGroupAsia, the premier US based business advisory company focused on supporting the world’s best companies working in Asia. 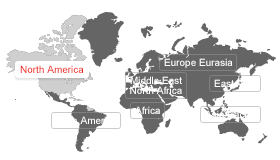 BGA has offices in seventeen countries across the IndoPacific region. Ernie has built several of the foundational American institutions focusing on policy and business in Asia and Southeast Asia. In addition to creating BGA, he led the effort to create first chair for Southeast Asian Studies at Center for Strategic and International Studies (CSIS) and helped found, build and lead the US-ASEAN Business Council. He is the chairman of the advisory board for Southeast Asia at CSIS. Mr. Bower is widely recognized as one of the strongest proponents for close ties between the United States and Asia. In recognition of his contributions, the King of Malaysia has awarded him the Darjah Panglima Jasa Negara (PJN) bestowing the title of “Datuk” and the president of the Philippines named him as a rare foreign holder of the rank of Lakan, or Commander. He also serves several business and humanitarian organizations including the United States chair of the Advisory Council on Competitiveness for the Vietnamese Prime Minister, the Special Olympics, vice chairman of American Australian Council, the Institute for Religion & Public Policy, the Asian University for Women and the Board of Advisors of the United States-Indonesia Society. Ernie is a leading advisor and commentator on the business, economics and security issues in Asia. Mr. Bower earned a bachelor’s degree from Colgate University and studied Mandarin Chinese at Middlebury College’s renowned Sunderland School of Foreign Language. He lives in Fairfax, Virginia with his wife Sam, their three children and loyal Australian shepherd Blue. Ambassador Burns is currently the Roy and Barbara Goodman Family Professor of Diplomacy and International Relations at the Harvard Kennedy School of Government. He is Faculty Director of the Future of Diplomacy Project and Faculty Chair of the programs on the Middle East and South Asia. He is a member of Secretary of State John Kerry’s Foreign Affairs Policy Board at the U.S. Department of State, Director of the Aspen Strategy Group and a Senior Counselor at the Cohen Group. He also serves on the boards of several non-profit organizations, including Special Olympics International, the Council on Foreign Relations, the Rockefeller Brothers Fund, the Center for the Study of the Presidency and Congress, the Richard Lounsbery Foundation, the Atlantic Council, American Media Abroad, the Association of Diplomatic Studies and Training, the Appeal of Conscience Foundation, and the Gennadius Library. Ambassador Burns served in the United States Foreign Service for twenty-seven years until his retirement in April 2008. He was Under Secretary of State for Political Affairs from 2005 to 2008. Prior to that, he was Ambassador to NATO (2001-2005), Ambassador to Greece (1997-2001), and State Department Spokesman (1995-1997). He worked on the National Security Council staff where he was Senior Director for Russia, Ukraine and Eurasia Affairs and Special Assistant to President Clinton and, before that, Director for Soviet Affairs for President George H.W. Bush. Mr. Carter is the former Chief Executive Officer of Superior Essex, a worldwide leader in the wire and cable industry. He served in this role between 2003 and 2013. Previously, Mr. Carter served as the President and CEO of Cingular Wireless, and in a number of senior executive positions in telecommunications. A native of London, he holds a master's degree from the Business School of the City of London University and is a Fellow of England's Institute of Chartered Management Accountants. He currently serves on the Board of CEB, a NYSE listed, network-based knowledge resource. Dr. Chileshe is a Board Member for Special Olympics Zambia and serves on the Special Olympics International Advisory Committee. He is a prominent leader in the Zambian sports sector, having led numerous initiatives to promote sports, development, and physical education. He has served as a coach for scholastic, local and national sports teams and appears regularly in the media on sports-related matters. Dr. Chileshe is also the Founder and President of Sport In Action in Zambia, an organization that uses sport as a tool for development. Ms. Claiborne, a Special Olympics athlete, is a world-class competitor and one of the most inspirational and remarkable women of our time. Ms. Claiborne has competed in more than 26 marathons, twice finishing with the top-100 women runners in the Boston Marathon. She won gold medals in the 1991 and 1999 Special Olympics World Games half-marathon. She communicates in four languages and holds an honorary doctorate degree from Quinnipiac University and Villanova University. Ms. Claiborne is a passionate advocate for people with intellectual and physical disabilities. She has traveled throughout Africa, where she joined former President Nelson Mandela to bring awareness of the benefits of Special Olympics and to recruit new athletes as a part of Special Olympics’ global growth campaign. Mr. Conner is the only American male gymnast to win gold medals at every level of competition. Conner has been: USA Champion, NCAA Champion, Pan-American Games Champion, World Champion, World Cup Champion, and Olympic Champion. In 1992, Mr. Conner took over International GYMNAST magazine. His production company, Perfect 10 Productions, has produced gymnastics TV shows for several networks including: ESPN, Fox Sports Net, and Oxygen TV. In 2011, Mr. Conner began The Bart & Nadia Sports & Health Festival with his wife, Olympic gymnast Nadia Comaneci; the annual event promotes healthy lifestyles with emphasis on sports, nutrition and wellness. In addition to his service on the Board of Special Olympics, Conner serves on the Board of Directors of the Muscular Dystrophy Association. Ms. Eleta de Varela has been involved in Special Olympics for more than 20 years, playing both national and international roles. She has been President of Special Olympics Panama, and has served on the International Advisory Council, which supports regional efforts for SO along the Latin American Region. Since 2007, Ms. Elata de Varela has also served as an active member on the SOI Board of Directors. She is the mother of a Special Olympics athlete, Ximena, who has participated successfully in Latin American and World Games. Professionally, Ms. Eleta de Varela has worked in the telecommunications industry during the past 25 years. Presently, she participates as Member of the Boards of CorporaciónMedcom and Cable Onda, Panama´s largest media company and telecommunications company, respectively. Dr. Dykens is Director of the Vanderbilt Kennedy Center for Research on Human Development, Co-Director of the University Center for Excellence in Developmental Disabilities, and Professor of Psychology and Human Development, Psychiatry, and Pediatrics. She received a Ph.D. in clinical psychology from the University of Kansas, and has previously served on the faculty at Yale University and UCLA. Dr. Dykens’ research focuses on the health and mental health problems, as well as on the unique gifts and strengths, of persons with intellectual disabilities, especially those with genetic syndromes. Her work aims to optimize the wellbeing and adaptive outcomes for people with Prader-Willi syndrome, Williams syndrome, Down syndrome, while also studying the genetic and neural underpinnings of these strengths and weaknesses. Finally, Dr. Dykens examines specific interventions that reduce stress and enhance positive outcomes in parents and caregivers of individuals with intellectual disabilities. The author of over 220 publications, including 3 books, Dr. Dykens sits on multiple scientific advisory boards, and has earned numerous awards for her research contributions to the field of intellectual disabilities. She has long been compelled by the spirit of the Special Olympics International movement, and is honored to serve on the Board of Directors and the Research and Evaluation Committee. Ms. Anne M. Finucane is vice chairman at Bank of America and a member of the company’s executive management team. She is responsible for the strategic positioning of Bank of America and leads the company’s Environmental, Social and Governance (ESG) efforts. In addition, she oversees public policy, customer research and analytics, global marketing and communications. Ms. Finucane chairs the global ESG Committee at Bank of America, which directs all of the company’s ESG efforts. She stewards Bank of America’s $125 billion environmental business initiative, including its $10 billion Catalytic Finance Initiative to mobilize market capital to deliver new investment into high-impact clean energy projects. She oversees the company’s $1.2 billion Community Development Financial Institution portfolio and helps manage Bank of America's 10-year, $1.5 trillion community development lending and investing goal—the largest of its kind ever established by a U.S. financial institution. She also chairs the Bank of America Charitable Foundation, including its 10-year, $2 billion charitable giving goal. Active in the community, Ms. Finucane serves on both corporate and nonprofit boards of directors including Carnegie Hall, the National September 11 Memorial & Museum, the American Ireland Fund, the John F. Kennedy Library Foundation, CVS Health, Brigham and Women’s Hospital, Partners Healthcare, and Special Olympics. She serves on the U.S. State Department’s Foreign Affairs Policy board and also is a member of the Council on Foreign Relations. Ambassador Gallegos is Chairman of the Global UN Partnership for Inclusive Information and Communication Technologies and Chairman of the Universal Design Commission. The Congress of Ecuador has honored him twice and he has received a number of awards for his work in the promotion and protection of the human rights of persons with disabilities, amongst them, the prestigious "Justice for All Disabilities Right Award." His career as a diplomat began in 1966 when he joined the Ecuadorian Foreign Service. He is at present the Permanent Representative of Ecuador to the United Nations in Geneva. He also holds the post of Vice President and Rapporteur of the Human Rights Council and is the Focal Point on Disability of the HRC. He was a member of the UN Committee Against Torture from 2006 to 2011. He is internationally recognized for his work as Chair of the Working Group that drafted the CRPD from 2002 to 2005. Mr. Haack is a Special Olympics Athlete Leader from Australia. He is an inspirational athlete, an accomplished football and cricket player, and a mentor and ambassador for Special Olympics Australia. Mr. Haack is the Athlete Representative Director of Special Olympics Australia Board, the Athlete Representative on the Special Olympics Asia Pacific Region Leadership Council, Co-Chair of the Asia Pacific Athlete Input Council and the Athlete Representative on International Advisory Committee of the SOI Board of Directors. Mr. Haack has a clear vision about his role as a Director and challenges people’s views around intellectual disability, sport and inclusion. He serves as an assistant coach and is a leader both off and on the playing field. He regularly attends sports forums, speaks at conferences, was on the Evaluation Team of the World Games in Athens and is an Athlete Presenter for Inclusion in Sport workshops. Mr. Haack has represented SOI at international events and travelled to South Africa in 2010 to participate in the Unity Cup match. Mr. Kastberg took up his assignment as Representative of UNICEF Sudan in September 2009, which he completed in January 2012, taking early retirement to engage in various goodwill causes and work as international development consultant and lecturer. He serves as Board Member of the Foundation La Ventana de los Cielos, Homestead, FL, USA, and Läkarmissionen, Vällingby, Sweden, in addition to his Board Member function in Special Olympics International. Prior to his assignment in Sudan, Mr. Kastberg served as UNICEF's Regional Director for the Latin America and Caribbean regions since 2003. Mr. Kastberg joined UNICEF in April 1998 as Director, Office of Emergency Programs in New York, where he directed and co-coordinated emergency programs ensuring complementarity of interventions with UNICEF's overall program policies, advised the Executive Director on emergency related policies and strategies, and assisted in mobilizing UNICEF's corporate response for complex emergencies. During the period 1992 to 1995, Mr. Kastberg was Counselor with the Permanent Mission of Sweden in Geneva, Switzerland when he also led the Task Force on HIV/AIDS Coordination. For one year, in 1996, he served as Permanent Representative of Sweden to the UN Organizations in Rome. During the same year, he was Chair of the Western Group and Vice-President of the Executive Board of the World Food Program. In early 1997, the Ministry of Foreign Affairs in Sweden seconded Mr. Kastberg to the Office of the High Representative for International Community in Bosnia and Herzegovina, covering Humanitarian and Human Rights issues in the Northwest of Bosnia and Herzegovina, based in BanjaLuka, until his appointment with UNICEF. Mr. Kastberg was appointed as Head of Section for Central America with the Swedish International Development Authority in Stockholm, Sweden between 1988 and 1990. In this capacity, he covered and provided support to the International Conference on Central American Refugees. From 1990 to 1992, he served as Head of Section for Humanitarian Affairs with the Ministry of Foreign Affairs in Stockholm, Sweden. Mr. Muhtar Kent has been Chairman of the Board and Chief Executive Officer of The Coca-Cola Company since April 2009. He joined The Coca-Cola Company in Atlanta in 1978 and has held a variety of marketing and operations roles throughout his career. Previously, Mr. Kent served as President and Chief Operating Officer, overseeing all operations of the business. Mr. Kent holds a Bachelor of Science degree in Economics from Hull University, England, and a Master of Science degree in Administrative Sciences from London City University. Mr. Kent is a member of the board of The Consumer Goods Forum and a member of the International Business Council of the World Economic Forum. He serves on the boards of 3M, Special Olympics International, Catalyst, Cambridge China Development Trust and Emory University. Mr. Kim Byeong Deok joined the Special Olympics movement as a volunteer for the Special Olympics-Lions Clubs International Opening Eyes program at the 2002 Special Olympics Korea National Games when he was a District Governor of Lions Clubs International. He is the key person who introduced and started the Health Athletes program in Korea. He served as a Head of Delegation for the Special Olympics Korea team at the 2003 Special Olympics World Summer Games held in Dublin, 2005 Special Olympics World Winter Games in Nagano and 2007 Special Olympics World Summer Games in Shanghai, as well as a member of the Executive Committee of the 2013 Pyeongchang Special Olympics World Winter Games. When he became the National Director of Special Olympics Korea in 2003, he reorganized Special Olympics Korea and got accreditation from SOI in 2004. With his leadership, Special Olympics Korea successfully received legal entity approval from the Korean Government in 2009. He was then elected as Senior Vice Chairman of Special Olympics Korea. After 2007 the Shanghai Special Olympics World Games, he was elected as Vice Chairman of Special Olympics East Asia Regional Advisory Council and served until August 2013. During the SOEA Regional Leadership Council meeting in September of 2013, he won the election and became the new Chairman of SOEA RLC. Mr. Kim is a member of Lions Clubs International. He served as District Governor for 354-D district from 2001 to 2002, as a Council Chairperson for 354 Multiple Districts from 2006 to 2007 and an International Director of LCI Board from 2009 to 2011. He served as a Global Membership Team Area Leader for Korea from 2011 to 2014. The most decorated figure skater in U.S. history, Ms. Kwan’s skating accomplishments have earned her a place among the all-time greats of the sport. For over a decade, Ms. Kwan dominated the sport like no other skater in history, winning an unprecedented 43 championships, including five World Championships, nine U.S. National Championships and two Olympic medals. Ms. Kwan's activities off the ice have been equally noteworthy. In 2006, the U.S. Secretary of State appointed Ms Kwan as the first U.S. Public Diplomacy Envoy. In 2010, President Obama appointed Ms. Kwan to the President’s Council on Fitness, Sports and Nutrition, advising the President on ways to engage, empower, and educate all Americans to lead active, healthy lifestyles. In 2010, Ms. Kwan was elected to the Board of Directors of Special Olympics International. Ms. Kwan graduated from the University of Denver in November 2008 with a degree in International Studies. In May 2011, she received a master’s degree from the Fletcher School of Law and Diplomacy at Tufts University, majoring in International Relations. Elected to the board in November 2015, Ms. Ronak Lakhani's term will begin in January 2016. She is currently the Chairperson on the Board of Special Olympics Pakistan, and has been involved with the movement since 1989 when she was a volunteer at the first City Games in Karachi. Since that time, she has served in a number of capacities including Head of Delegation at multiple World Games and represented the movement at numerous regional conferences. She has lend her invaluable leadership skills to activities across the board within Special Olympics Pakistan, including Unified Sports, Healthy Athletes, Athlete Leadership Program, and others. She also serves on the boards of a number of other organizations related to sports and health. Mr. Lane is a Managing Partner at GreatPoint Ventures, a fund focused on using resources more efficiently (agriculture, water, energy, etc. ), living longer and healthier lives (food, biotechnology, and healthcare), and increasing productivity (robotics, software, etc.). Ray is also a strategic advisor for Kleiner Perkins Caufield and Byers, after serving as a managing partner with the firm for 14 years. Since 2000, Mr. Lane has focused on helping entrepreneurs with technological and market insight, organizational development, team building, selling and managing growth. Mr. Lane serves on the board of Hewlett-Packard and was its former Chairman. He also serves on the board of trustees of Carnegie Mellon University and was its Chairman for the last six years, and he just completed eight years of service on the Board of Governors for West Virginia University. Ray also serves on several start-up boards that are associated with GPV or KPCB investments. Prior to 2000, Ray was president and chief operating officer of Oracle Corp., one of the world’s largest software companies. During his 8 year tenure, Oracle grew from $800 million to more than $10 billion. Earlier in his career, he was a senior partner with Booz Allen Hamilton, where he pioneered and led the Information Systems Group, a worldwide technology consulting group for global enterprises. He served on Booz Allen Hamilton’s board of directors and executive management committee. Mr. Lane received a bachelor’s degree in mathematics and an honorary Ph.D. in science from West Virginia University. He was elected to the Academy of Distinguished Graduates and the Order of the Vandalia at WVU. The university honored Ray by naming the Lane Department of Computer Science and Electrical Engineering in its College of Engineering. Ray was an active campaigner and planner for Carnegie Mellon’s establishment in 2002 of a Silicon Valley campus. He helped create and fund Carnegie Mellon's Lane Computational Biology Department, one of six permanent degree-granting departments in the School of Computer Science. He was also recognized with an honorary Ph.D. from Golden Gate University in 1995. And in 2011, Mr. Lane was honored by TechAmerica as its recipient of the David Packard Medal of Lifetime Achievement Award. Mr. Li is the Founding Chairman of CMC Capital Partners, which are China’s most prestigious investment and operation platforms with an extensive portfolio of champions and emerging leaders in media and entertainment, internet and mobile, and lifestyle across the entire spectrum of content, service and platform. Key sub-sectors in CMC's portfolio scope include film, TV, animation, sports, music, live performance, location based entertainment, online game, financial media, financial data service, advertising, talent agency, ticketing, e-commerce, home shopping, education, social network, smart TV and O2O. Prominent companies under CMC include Star China, TVB, Oriental DreamWorks, Flagship Entertainment Group, IMAX China, Whaley Technology, China Sports Media, and Caixin. Mr. Li was Chairman and CEO of Shanghai Media Group (SMG) and successfully transformed SMG from a provincial broadcaster into China’s second largest media conglomerate. SMG’s subsidiary Shanghai Oriental Pearl Media Co., Ltd is of the highest market cap in China’s media and entertainment sector. Mr. Li is a Non-Executive Director of the world’s largest marketing group WPP (LSE: WPP, NASDAQ: WPPGY). He was Deputy Secretary General, and Chief of Staff of Shanghai Municipal Government. Li has Bachelors and Masters degrees in Journalism from Fudan University, and was a visiting scholar at Columbia University. Mr. Lyon, Chairman of Finish Line, has spent his entire 40-year professional career in the retail industry. Perennially listed among the top 30 in Footwear News’ Power 100 rankings, Mr. Lyon became CEO of Finish Line in 2008. In July 2010, he was also named Chairman of the Board. Mr. Lyon joined Finish Line in 2001 as Executive Vice President and Chief Merchandising Officer and was later appointed President and Chief Merchandise Officer of the company before rising to the CEO post. Prior to Finish Line, Mr. Lyon was President and CEO of women’s apparel retailer Paul Harris Stores, Inc. From 1995 through 2000, he served as President and General Merchandising Manager of Modern Woman Stores, a division of the American Retail Group. Prior to Modern Woman, he spent more than a decade as General Merchandise Manager for TJX and Ormond Stores, Inc.
Mr. Lyon began his extensive career in retail in 1973 at Macy’s N.Y. in the executive training program. After a decade with Macy’s, he was promoted to Vice President of Merchandising, launching him into the ranks of executive leadership in retail. Mr. Lyon graduated from City College of New York with a bachelor’s degree in Business and Finance. Ms. Milton-Sheats’ leadership has greatly contributed to SO Georgia (USA) becoming one of the largest and strongest Special Olympics Programs in the world. She has also served as Chairwoman of the United States Leadership Council from 2008-2010, during which she used her influence to engage each CEO to serve an active committee member role. She currently serves on the North American Leadership Council, where she has led the development of a sister exchange Program between Special Olympics Georgia and St. Lucia. This Program will serve as a model for the development of at least 4 new sister Programs involving Special Olympics Programs from the Caribbean, US and Canada. In addition to the roles and accomplishments highlighted above, Ms. Milton-Sheats also serves in the following capacities: Sustaining Member of Atlanta Junior League, Leader of Atlanta’s Northside Youth Organization, Troop Leader of Girl Scouts, plus many other leadership affiliations. Mr. Angelo Moratti is Vice Chairman of SARAS S.p.A. The Group works in the energy industry and is a leading Italian and European crude oil refiner. Mr. Moratti is a member of the Board of the Inter Milan Football Club, the 2010 Champions League winner and five time consecutive winner of the National Championship. Mr. Moratti is the President of Special Olympics Italy and Vice President of Associazione Amici del CentroDinoFerrari, a research organization examining neurodegenerative diseases founded by EnzoFerrari in memory of his son Dino. NBA Legend Dikembe Mutombo is the President and CEO of the Dikembe Mutombo Foundation, which he created in 1997. Located in Atlanta, Georgia, the Foundation's mission is to improve the health, education and quality of life for the people in the Democratic Republic of the Congo. One major project was the construction of a new general hospital in the capital city of Kinshasa, DR Congo, the country in which he was born. A graduate of Georgetown University, Mr. Mutombo played professional basketball for 18 years before retiring from the Houston Rockets in 2009. He is the first Youth Emissary for the United Nations Development Program (UNDP) and he also served on the Advisory Board for the Fogarty International Center at the National Institutes of Health and presently serves on the boards of the National Constitution Center and Opportunity International. Mr. Mutombo has also served as an Advisor and Consultant to Freeport McMoRan and as an advisor to Hewlett-Packard. Mr. Mutombo has been named ABC's Person of the Week, Essence Magazine's 2001 Achiever, and Sporting News' No. 1 Good Guy. Mr. Mutombo has been featured in Europe's TIME magazine, Sports Illustrated for Kids, the New York Times, the Philadelphia Inquirer and the Houston Chronicle just to name a few. In 2009, NBA Commissioner David Stern appointed Mutombo to the newly created position of Global Ambassador. In this capacity, he has traveled throughout the Middle East, Asia and Africa. Mr. Mutombo now works to expand and celebrate the game through numerous international NBA events including Basketball without Borders. In addition, he works closely on NBA Cares outreach efforts with Hall of Famer Bob Lanier, who serves as Special Assistant to the Commissioner. Hon. Na Kyung Won is a member of the 20th National Assembly of Dongjak-Gu Eul, Seoul, South Korea. She is the Chairperson of the National Assembly Low Birthrate and Aging Society Special Committee. She led the winning bid to host the 2013 Special Olympics World Winter Games in Korea and served as the Chairperson and CEO of the Games Organizing Committee. She is a member of the Liberty Korea Party. She was elected as chair of the Foreign Affairs and Unification Committee in the 19th National Assembly for the first time as a female lawmaker in the country’s history. Also, She is a former leading member for the Grand National Party in Culture, Sports, Tourism, Broadcasting and Communications Committee, and Attorney-at-Law. She is the Co-representative of Korea Parents Association for the Disabled, and a Chairperson for Special Olympics Korea. Additionally, she serves as an advisor for the Korea Down Syndrome Society, and a Chairperson for the Members' Study Group "We Can" on the Physically and Mentally Challenged Children for the National Assembly of Korea. She holds a doctorate in International Law from Seoul National University. Ms. Picasso serves as Chair of Special Olympics Chile and is a member of the International Advisory Committee. She holds degrees in business and nongovernmental organization administration and manages a family business that distributes industrial materials for the production of white goods. Ms. Picasso also serves on the Executive Board of Puentes, a leading organization dedicated to support students from underprivileged communities to enroll in university education. Ms. Picasso’s son, Thomas, is a Special Olympics Chile athlete. This experience has given her the opportunity to become fully and passionately involved with the Special Olympics movement. She has personally experienced the power of Special Olympics sports in the life of her son, and her goal is to be able to replicate her son´s experience for others and advocate for a more inclusive society. Dr. Rossides studied Adapted Physical Education and Special Education (double major) and Educational Psychology (MA, PhD) in the United States and is a member of the American Psychological Association. At the beginning of her career she worked under the former president of Cyprus, recommending suggestions for an updated Special Education Law in Cyprus. She is the founder and director of New Hope Private Special School, in Nicosia and the Education Consultant for the American Academy schools in Limassol and Paphos-Cyprus. In 1994, Dr. Rossides was elected as a board member of Special Olympics Cyprus and has served in various positions, among them, Committee President responsible for the volunteer and youth trainings, Committee President for Fund Raising, and Assistant National Director. For the past three years she has held the position of the Cyprus Special Olympics National Director. Since 1997, Dr. Rossides has served as the MATP (Motor Activities Training Program) Advisor for Special Olympics Europe-Eurasia and has given numerous trainings to Special Olympics Programs throughout the world. She also served as a Technical Delegate for MATP at the 2011 and 2013 Special Olympics World Games. Dr. Cdr Kartikay Saini is the Chairman of the Board of Directors for Special Olympics Bharat, the national Special Olympics Program for India, and serves on the Special Olympics International Advisory Committee. As a former commander of the Indian Navy, Dr. Cdr Saini has over three decades of distinguished experience in the civil and defense forces with over 19 decorations. He has undertaken numerous leadership roles in his career and has been a key speaker in various workshops and seminars on leadership and governance around the world. Dr. Saini is currently the Director of Hema Engineering Industries Ltd and the Chairman of Scottish High International School, India. Dr. Cdr Saini has been involved in sports for his entire life, enjoying a multitude of various sporting activities. He has contributed nationally to education for the under privileged, integrated education for children with intellectual disabilities, and pioneered research as the head of the Autism Research Center of India. Dr. Saini has served Special Olympics in various capacities since he started volunteering in 2003, including as the Chairman of Special Olympics Bharat and Chairman of the Special Olympics Asia Pacific Advisory Council. Ms. Samuel has over two decades of leadership experience in business, philanthropy, development of multi-stakeholder partnerships and academic research. A pioneer in the field of social isolation and connectedness, Ms. Samuel currently serves as President of the Samuel Family Foundation, as Professor of Practice at McGill University's Institute for the Study of International Development, and as Director of the Samuel Group of Companies, a Canadian family business founded in 1855. In both her philanthropic and academic work, Ms. Samuel focuses on overcoming social isolation as a critical experiential and measurable component of multi-dimensional poverty and other human rights challenges facing communities around the world. Through her efforts, Ms. Samuel has generated an emerging global movement dedicated to identifying policy and program solutions that build social connectedness. In October 2016, she convened the second Global Symposium on Overcoming Isolation and Deepening Social Connectedness at McGill University in Montreal, which brought together leading thinkers, activists and community leaders from over 23 countries. Also in the Fall semester 2017, she designed and delivered the first academic course in the emerging field of social connectedness to graduating students of McGill’s international development program. And in her ongoing leadership role in the emerging movement, Ms. Samuel acts as a speaker, commentator and author featured regularly in the Huffington Post and other media and scholarly sources. As President of the Samuel Family Foundation, Ms. Samuel has actively engaged in a number of collaborative partnerships to advance advocacy and programming that supports social connectedness — including with the Synergos Institute, Nelson Mandela Children’s Foundation and the Foundation for Community Development. In addition, Ms. Samuel plays an active and ongoing role as a board member and member of the Executive Committee of Special Olympics International and is engaged in partnership with Indigenous communities in northern Canada, including Misipawistik Cree Nation, in support of community driven strategies for strengthening education and employment. Ms. Samuel also co-created the innovative Environmental Performance Index (EPI), now in its tenth iteration, with the Yale Center for Environmental Law and Policy and the Center for International Earth Science Information Network at Columbia University. Previously, Ms. Samuel served as Visiting Scholar at the University of Oxford’s Poverty and Human Development Initiative (2013-2014) where she continues to serve as Policy Advisor. She is also a founding member of the Global Philanthropists Circle and Member of the Disability Rights Advisory Committee of Human Rights Watch. The Samuel Group of Companies, founded in 1855, comprises a network of operations across North America engaged in the processing, manufacturing and distribution of steel and other metals. Dr. Shi is the Co-founder and Chief Investment Officer of China Development Bank Root-Well Industrial Fund Management Co., Ltd. He is also the Co-founder and Chairman of the Board of Shanghai International Private Equity Association and serves as Vice Chairman of the Shanghai Charity Foundation. In his early career, Dr. Shi was the Bureau Chief of the Civic Affairs Bureau in Shanghai, and was responsible for implementing and administering policies and programs to support the city’s social and economic development. Dr. Shi was also instrumental in designing the infrastructure to support increased opportunities for people with disabilities, specifically in the areas of employment and education. Dr. Shi is a longtime supporter and advocate for Special Olympics, dating back to 1992. He served as the Chairman of Shanghai Special Olympics Committee, and traveled with an athlete delegation to the 1995 Special Olympics World Summer Games in New Haven, Connecticut. In 1996, Dr. Shi was responsible for the first Asia-Pacific Special Olympics Games held in Shanghai. Dr. Shi was the architect of Shanghai’s bid for the 12th World Special Olympic Summer Games, where he also served as the Chief Producer of the opening ceremony. Dr. Shi remains active in his support for Special Olympics China and Special Olympics East Asia. Dr. Shi strongly believes his advocacy will advance the cause of people with disabilities through increased awareness of and support for equal rights. Dr. Shi holds a B.A. in Politics from East China University of Political Science and Law, as well as a master’s degree in industrial management and doctorate degree in system management, both from Tongji University. Mr. Shriver is an activist, attorney, and producer. He is the son of Special Olympics Founder Eunice Kennedy Shriver and a lifelong supporter of the organization. He was elected a member of the Santa Monica City Council, serving from 2004 to 2012, and served as mayor pro tem in 2006 and mayor during part of 2010. He chairs the California Parks and Recreation Commission. In 1987, Mr. Shriver produced the first-ever primetime program on the Special Olympics World Games for ABC. That same year, he co-produced the first of nine "A Very Special Christmas" records (two of which were recorded live at The White House). These projects have raised more than $100 million to support Special Olympics programs around the world. He is a graduate of Yale College and Yale Law School. Dr. Shriver is a social leader, educator, activist, film producer, and business entrepreneur. As Chairman of Special Olympics, he serves more than 5 million Special Olympics athletes in 170 countries. He has transformed Special Olympics into a movement that focuses on acceptance, inclusion, and respect for individuals with intellectual disabilities. Dr. Shriver created exciting new Special Olympics initiatives in athlete leadership, cross-cultural research, health, and education. Among them, Special Olympics Healthy Athletes® has become the world’s largest public health screening and education program for people with intellectual disabilities, and Special Olympics Get Into It®, together with Unified Sports®, promotes inclusion and acceptance. Before joining Special Olympics in 1996, Dr. Shriver was and remains a leading educator focusing on the social and emotional development in learning. He co-founded and currently chairs the Collaborative for Academic, Social, and Emotional Learning (CASEL), the leading research organization in the U.S. in the field of social and emotional learning. Dr. Shriver earned his undergraduate degree from Yale University, a Master's degree from Catholic University, and a Doctorate in Education from the University of Connecticut. Mrs. Sigala is recognized as one of the leading philanthropists in Venezuela. Mrs. Sigala received her law degree from the prestigious Andrés Bello Catholic University (UCAB) located in Caracas of and she has a diploma in information and war at the Complutense University Madrid. Prior to attending UCAB, Mrs. Sigala served as First Lady of Carabobo in Venezuela. During her tenure, she used her influence to advocate for, build and coordinate a network that assisted the families of children with special needs in Carabobo. Soon after graduating from UCAB, Mrs. Sigala worked as an attorney and financial advisor for the Stanford Bank Legal Department. However, her commitment to social responsibility led her to invest more time in working with children and families, such as working with Special Olympics in Barquisimeto and supporting small farms owned by women. Mrs. Sigala’s stated goals are to focus more and more on the area of impacting the lives of children and families with disabilities in Latin America. Mr. Wing-Kun Tam, of Hong Kong Special Administrative Region (SAR), The People’s Republic of China, was elected president of The International Association of Lions Clubs at the association's 94th International Convention, held in Seattle, Washington, USA July 4-8, 2011. Past President Tam is the chairperson of a multi-national group of companies specializing in aviation and travel business. A member of the Mt. Cameron Lions Club since 1981, he has held many offices in the association, including Campaign SightFirst multinational coordinator and OSEAL recording secretary, SightFirst China Action executive chairperson, 2005 International Convention Bidding Committee executive chairperson and honorary Host Committee chairperson. He has served on the international board for 11 years and three years on the executive committee. Past President Tam has been a member or chairperson of many government and community service boards and committees of the Hong Kong SAR Government. He served as Hong Kong District Affairs Advisor before the establishment of the SAR in 1997. He has been the Hong Kong Convention Ambassador since 1995. He is the recipient of Her Majesty the Queen’s Badge of Honor, the Most Excellent Order of the British Empire and the Bronze Bauhinia Star from the British and Hong Kong SAR governments. He is a Justice of the Peace in Hong Kong and the appointed Honorary Consul of the Republic of Kenya in the Hong Kong SAR and Macau SAR of The People’s Republic of China. In recognition of his service to Lions Clubs International, Past President Tam has received numerous awards, including the Campaign SightFirst National/Multi- National Coordinator Award, the International Lion of the Year Award (2003) and the Ambassador of Good Will Award, the highest honor the association gives to its members. He is a Progressive Melvin Jones Fellow and Campaign SightFirst Lead Gift Donor. Mr. Ulukaya founded Chobani in upstate New York in 2005 and launched Chobani Greek Yogurt in 2007. Five years later, Chobani became the No. 1 selling Greek Yogurt brand in the U.S. with more than a billion dollars in annual sales, making Chobani one of the fastest growing companies in history. Mr. Ulukaya’s vision for Chobani has effectively transformed an entire food category. Led by his passion to democratize better food for more people, Chobani gives 10% of its profits to support organizations with similar values. In 2015, Mr. Ulukaya signed The Giving Pledge and committed the majority of his personal wealth to help bring an end to the global refugee crisis. In the same year, he launched his personal foundation, Tent, to support his commitment. Tent is a vehicle for bringing support, providing partnerships and urgently needed assistance to refugees and displaced people, as well as building support for the policies that can help end this humanitarian crisis. Mr. Ulukaya was named an Eminent Advocate by the United Nations Refugee Agency (UNHCR) and is a member of the Presidential Ambassadors for Global Entrepreneurship (PAGE). In 2015, he received a United Nations Foundation Global Leadership Award, the American Turkish Society's Humanitarian Award, and the Children’s Aid Society Corporate Leadership Award for his humanitarian commitment to refugees and those in need. He was named the 2013 Ernst & Young World Entrepreneur Of The Year and also earned the Small Business Administration’s Entrepreneurial Success Award. He sits on the boards of the American Turkish Council, The American Turkish Society, Federal Reserve Bank of New York, and Pathfinder Village for Down syndrome, and is a Vice Chair of the Corporate Fund Board of the Kennedy Center in Washington, D.C.
Ms. Vodianova is a model, actress and activist who grew up in Russia. She is the founder of the Naked Heart Foundation, which seeks to provide safe environments for children to play and learn. The foundation’s work includes the Every Child Deserves a Family initiative, aimed at helping parents who feel pressured to give up a child with disabilities. Ms. Vodianova, who has a sister with cerebral palsy and autism, is a champion for fair treatment of people with disabilities. She has been a consistent supporter of Special Olympics, lending her support to numerous fund-raising events as well as the 2014 European Games and the 2015 World Games. She has received the Harper’s Bazaar Inspiration of the Year (2010) and Philanthropist of the Year (2013) awards, as well as Glamour’s Woman of the Year (2014), among other honors. Mr. Williams has been with Special Olympics for more than 10 years, and currently serves as a member of the Special Olympics Board of Directors. His goal is to spread the message and vision of Special Olympics far and wide. Mr. Williams enjoys aquatics, track and field, floor hockey and curling. Though young, Mr. Williams has accomplished much. In addition to being an International Global Messenger, he took part in the final leg of the 2010 Olympic Torch Run alongside Arnold Schwarzenegger in Vancouver, was elected chairman of the Third Athlete Congress, held in Morocco, and won two medals at Canada’s Summer Games. Prior to joining Special Olympics, Mr. Williams struggled to fit in and keep up with his peers. He joined Special Olympics in 8th grade, which has had a profound impact on Mr. Williams' life, helping him make friends, providing him with confidence that he can succeed, and giving him an opportunity to participate in sports. Mr. Williams' goals include taking a personal training course and working toward someday being a certified personal trainer for athletes and people with disabilities. Ms. Williams is one of the most respected and multi-faceted performers in the entertainment industry today. Having sold over 25 million records worldwide, Ms. Williams is one of just a few artists to score No. 1 and Top 10 hits on Billboard's Album and Singles charts in the combined areas of Pop, Dance, R&B, Adult Contemporary, Holiday, Latin, Gospel and Jazz—the latter is where her latest release, "The Real Thing," debuted at No. 1 in June of 2009. Her critically acclaimed work in film, television, recordings and the Broadway stage has been recognized by every major industry award affiliation including 4 Emmy nominations, 17 Grammy nominations (of which 11 were for her individually), a Tony nomination, 3 SAG award nominations, 6 NAACP Image Awards, 3 Satellite Awards and ultimately a Golden Globe, Grammy and an Oscar for Best Original Song for her platinum single "Colors of the Wind," from the Disney film Pocahontas. Ms. Williams also achieved a career pinnacle with a star on the Hollywood Walk of Fame. Her autobiography, "You Have No Idea," co-written with her mother Helen Williams, was a New York Times Best Seller in 2012. Ms. Williams also starred on Broadway alongside Cicely Tyson and Cuba Gooding Jr. in Trip To Bountiful. A strong advocate for equal rights, especially concerning the gay community and minorities, Ms. Williams received the Human Rights Campaign's Ally for Equality Award for her humanitarian contributions. Ms. Williams is the mother of four, Melanie, Jillian, Devin and Sasha, and divides her time between homes in Los Angeles and New York. Her charitable endeavors are many and varied, embracing and supporting Special Olympics and several other organizations. Ms. Yang Lan is a household name in China, as a leading broadcast journalist and media entrepreneur. She is the Co-founder and Chairperson of Sun Media Group and Sun Culture Foundation. Sun Media Group is one of the leading private media companies in China with businesses ranging from TV production, integrated communications, events, and more. Sun Culture Foundation is a non-profit organization aiming to improve education and promote philanthropy. Ms. Yang graduated from Beijing Foreign Studies University with Bachelor’s degree in English Language and Literature. She became a rising star by hosting CCTV’s “Zhengda Variety Show”, which earned her the “Golden Microphone Award” in 1994. She followed her experience hosting her television show by attending Columbia University’s School of International and Public Affairs, where she earned a master’s degree in International Affairs. Upon returning to China, she created her signature show “Yang Lan One on One,” for the Hong Kong-based Phoenix TV. “Yang Lan One on One” has become China’s longest-running in-depth talk show, accumulating more than 700 interviews with leaders from around the world. In 2000, Ms. Yang and her husband, Dr. Bruno Wu, launched Sun TV, Greater China's first documentary satellite channel. In 2005, she created “Her Village”, a TV talk show geared towards Chinese urban female audience, which was developed into a multimedia community to empower women. She has been firmly committed to promoting cross-cultural communications. She was chosen to represent China as the ambassador for Beijing’s bid for the 2008 Olympic Games, and was named as Goodwill Ambassador for 2010 Shanghai Expo. Currently, she is a Global Ambassador for the Special Olympics movement and the first Chinese UNICEF Ambassador, the Co-Chair of Lincoln Center China Advisory Council, and the Vice-Chairman of China Charity Alliance. Ms. Yang has moderated many events including the opening and closing ceremony of the Beijing Olympic Games and Paralympic Games, the opening ceremony of Shanghai Expo, Special Olympics Global Development Summit, APEC Women and the Economy Summit, World Economic Forum, Fortune Forum and China Charity Forum. Ms. Yang was honored with many awards, including Columbia University SIPA’s Global Leadership Award, the National Philanthropy Award, China’s “Women’s Achievement Award," the Paley Center For Media “Makers” award. She is one of Forbes’ 100 World’s Most Powerful Women. Mr. Yao Ming began his basketball career playing for the Shanghai Sharks, but after leading them to a victory in the CBA championship at the age of 22, he became the No. 1 drafted player in the NBA. During his career, Mr. Yao has been selected as an NBA all-star in all eight of his seasons, and through his hard work has developed into one of the best centers in the NBA, earning All-NBA recognition five times. In addition, as a key player on the Chinese national basketball team, he played in three Olympic Games from 2000 to 2008, leading the national team to its best record in China’s history. Through his great influence as a worldwide superstar, Mr. Yao has become a bridge between China and America. He has shown the West the wisdom, honesty and diligence of the Chinese people and thereby brought China closer to the rest of the world. Moreover, Mr. Yao has been proactively involved in charity and public welfare activities including his founding of the “Yao Ming Foundation” in May of 2008. This foundation is aimed at helping children find warmth and hope in life.